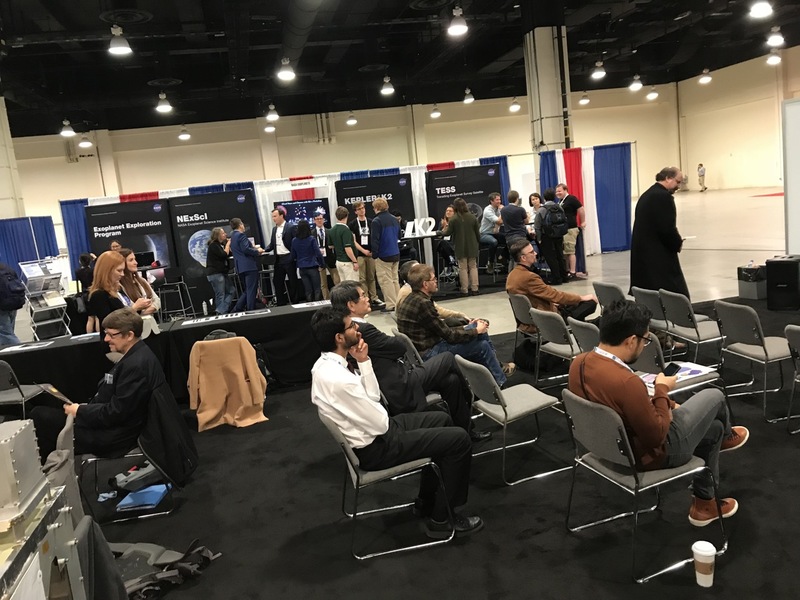 TESS team members and scientists participated in a number of successful events at the 231st American Astronomical Society meeting in National Harbor, MD, in January 2018. 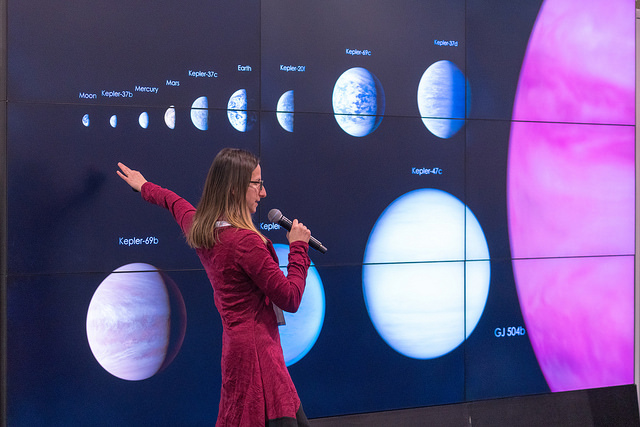 TESS activities included a joint evening splinter session on NASA's TESS and K2 missions, a special seminar for science writers, and a number of talks, posters, and hyperwall presentations. 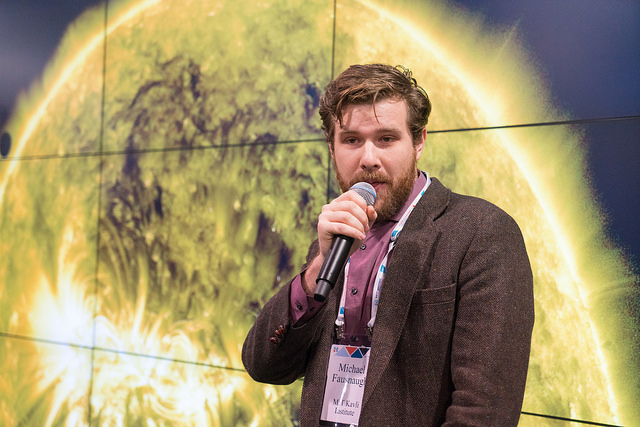 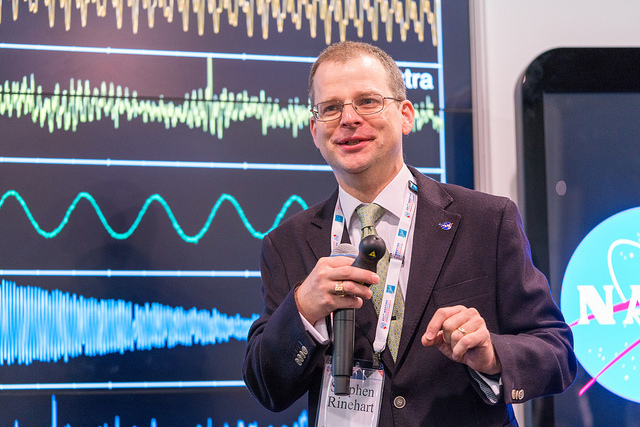 Team members from MIT and NASA Goddard were also on hand to answer questions about the mission and feasibility of planned observations at a TESS booth in the exhibition hall, and there was much excitement for the upcoming launch throughout the meeting. 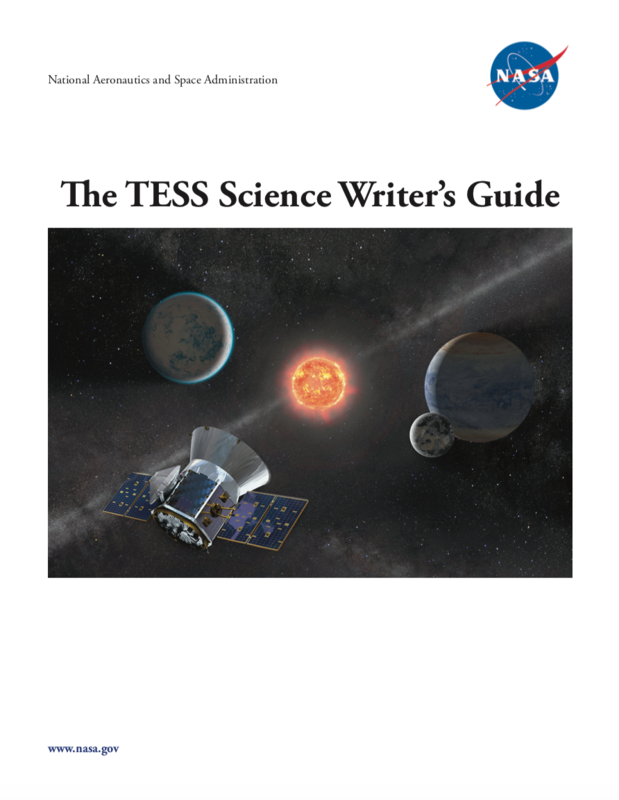 TESS Science Writer's Guide available in PDF. 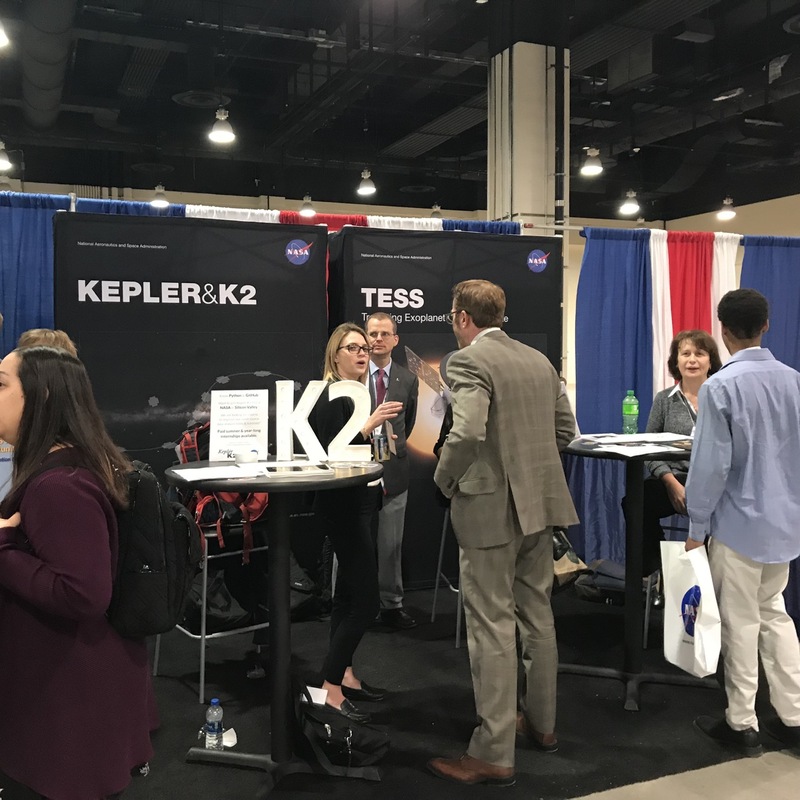 TESS team members staffing the TESS Booth.